As technology changes and businesses adapt to advancements in operations evolving advancements can bring, one industry that's been able to traverse this aspect of modern business quite well has been that of court reporters. From creating real-time deposition transcripts, providing videoconferencing services and even live captioning major events, court reporters have always been in demand. Conni Psaros was recently interviewed by the Patriot Ledger and explains more on the evolution of court reporters. 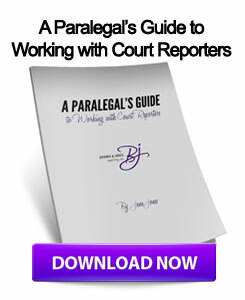 In the interview, Psaros explains how the technology of court reporting has changed throughout the years, from 1977, when the first computer-aided transcription was made available, to the present, where court reporters are able to transcribe depositions and hearings verbatim on a steno machine that can be hooked up to a computer which provides instant translations of the transcripts. In addition, the use of videoconferencing technology has further propelled the industry into an even higher demand. 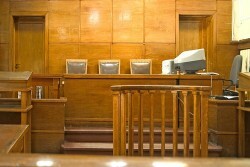 "Videoconferencing is a growing market in the court reporting industry," Psaros told the source. "With programs like Skype, a reporter can now bring a laptop with camera to a site and counsel can depose a witness remotely, saving travel time and money. Cloud technology is playing a bigger role in how files are shared … The iPad is taking the legal market by storm. There is an interactive software app that counsel can download for free and use to receive the testimony immediately from the reporter." As this blog has reported in the past, videoconferencing is becoming an increasingly hot commodity in not only legal systems, but in almost every public and private sector industry. As court reporters become more technologically advanced in the way they transcribe depositions and hearings, lawyers in the Midwest may want to partner with Wisconsin court reporters to ensure they get the most accurate deposition transcripts. This entry was posted on Monday, September 17th, 2012 at 10:39 am	and is filed under All Posts, Court Reporting News. You can follow any responses to this entry through the RSS 2.0 feed. You can skip to the end and leave a response. Pinging is currently not allowed.